The Boulder Field’s Youth Semester Program is a powerful tool for enhancing these critical skills in kids. 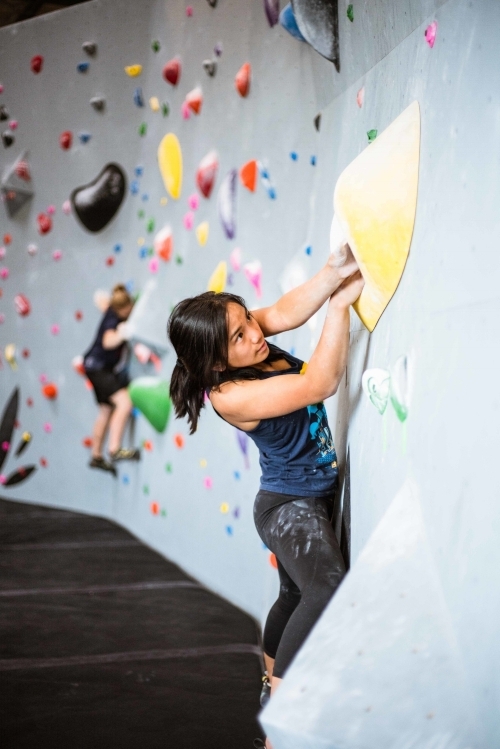 This is an indoor bouldering class designed for independent students, those who are home schooled, or those who find that their school or other athletic programs don't meet their needs. Indoor bouldering is a style of rock climbing that is on maximum 14-foot walls with minimal gear and highly engineered mats. Bouldering pairs the individuality of climbing with the community-driven aspect of working together to solve challenges. For home schooled students, we are an approved Enrichment Vendor for Visions in Education, a transitional K-12 independent study/home school charter school, currently in its 18th year of operation, and Inspire Charter Schools. Each class is available for all ages and levels, and meets once per week - for 2 hours - for 9 weeks. For questions, please contact programs@theboulderfield.com.